One of the most anticipated phones of the summer is the BlackBerry Tour 9630 dropping on Verizon Wireless. 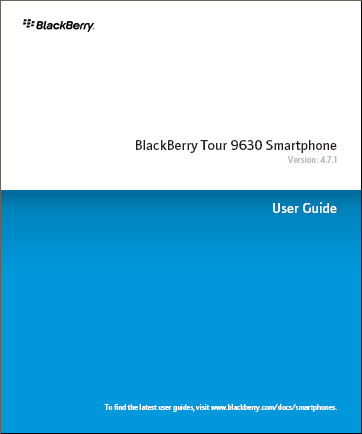 Bringing us one step closer to the phones launch is the user guide, which leaked today. Most of the information is typical BlackBerry info but keep an eye out for some new info.